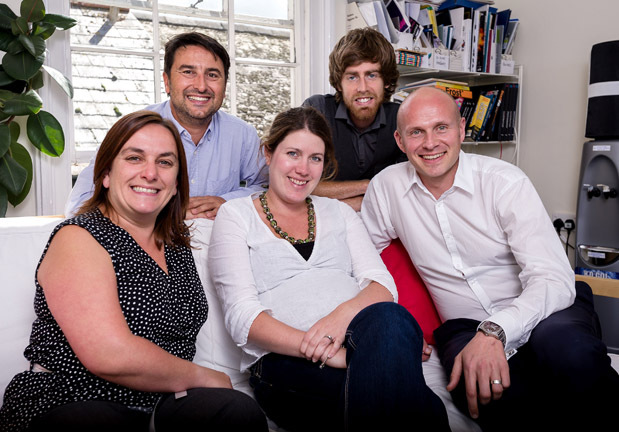 A Cornwall marketing agency is celebrating a bumper year after recording double-digit growth and increased profit in the last 12 months. Truro based MPAD, which provides marketing, public relations, advertising and design services, saw an increase in turnover of 26% during the financial year 2012/13, recording a profit of 11.5%. The company attributes its success to strengthening relationships with existing clients, targeting key sectors, improving efficiency and focusing on its business goals. MPAD director, Rachel Picken, who has recently returned to work after five months’ maternity leave, said: “We’ve had a real drive to grow the business and improve efficiencies within the team to ensure we have the capacity to deal with the increased demand from existing and new clients. “We’ve continued our focus on key sectors – charity, not-for-profit and environmental – where we have gained a reputation as experts. “This is on top of the work we do for organisations in the professional service, leisure and tourism and technology sectors. The company has employed the services of freelance finance director, Jeremy Kirk from South West FD, as well as working with Oxford Innovation through its Grow Cornwall programme. Picken added: “Jeremy has helped give us clarity and has the ability to ask tough questions to get us to think about every business decision we make and the implication it will have on the bottom line.